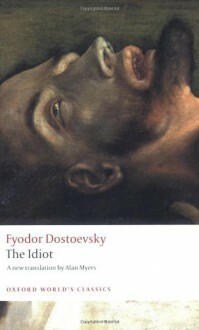 The Idiot (1868), written under the appalling personal circumstances Dostoevsky endured while travelling in Europe, not only reveals the author's acute artistic sense and penetrating psychological insight, but also affords his most powerful indictment of a Russia struggling to emulate contemporary Europe while sinking under the weight of Western materialism. It is the portrait of nineteenth-century Russian society in which a "positively good man" clashes with the emptiness of a society that cannot accommodate his moral idealism. Meticulously faithful to the original, this new translation includes explanatory notes and a critical introduction by W.J. Leatherbarrow.About the Series: For over 100 years Oxford World's Classics has made available the broadest spectrum of literature from around the globe. Each affordable volume reflects Oxford's commitment to scholarship, providing the most accurate text plus a wealth of other valuable features, including expert introductions by leading authorities, voluminous notes to clarify the text, up-to-date bibliographies for further study, and much more.